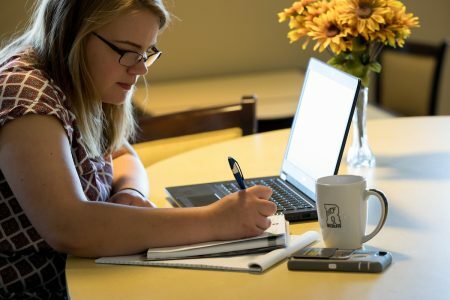 Randolph College is expanding its online course offerings this summer to include communication studies, sport and exercise studies, education, sociology, astronomy, math, and physics. All courses are taught by Randolph faculty and are open to both college and high school students, or anyone else looking to further their education. The courses will be taught over three sessions: May 29-July 2, July 9-August 10, and an extended session from May 29-August 10. Current Randolph students may register via the Portal, and non-Randolph students must submit the “Special Student Application” from the Registrar’s Office. Registration is open until the first day of summer courses. Please visit online.randolphcollege.edu for more information or to register for classes.